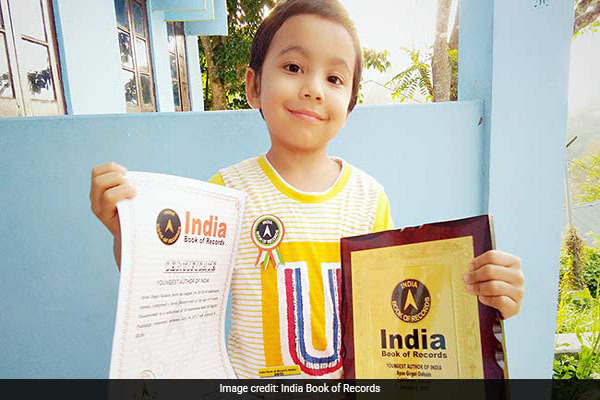 Lakhimpur in Assam(PTI): At an age when children can barely string two sentences together, four-year old Ayan Gogoi Gohain of Assam’s North Lakhimpur district has earned the rare distinction of ‘Youngest Author of India’. “Ayan’s writing and his pictures show the exuberance of his youth. His elegant writing style and profound insights show him to be wise while still innocent. This is a book that adults and children will enjoy,” she said. published in January this year.